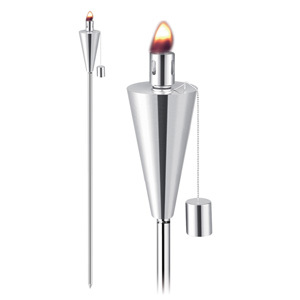 At 65" tall, the stainless steel contemporary designs of the Anywhere Garden Torches™ will light up and add style, sophistication, and ambiance to any outdoor space. Sold in sets of two, you can arrange 2, 4, 6, 8 or more torches anyway you would like; along a pathway, around the pool, on the perimeter of your back yard, or anywhere you choose. Used with citronella torch fuel it will repel insects to maximize your outdoor enjoyment. 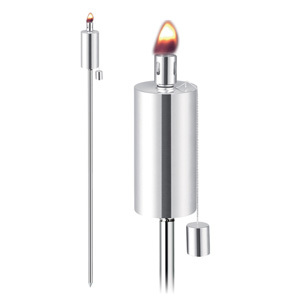 Each torch comes with long lasting wick and a snuffer cap to extinguish the flame and keep your wick dry when not in use. By combining this 65" inch ground torch with matching table torch you can not only coordinate the decor, but also bring light and insect protection anywhere you need it. A funnel is recommended for use when filling with fuel. Wipe any spills or drips off stainless steel before lighting. Never try to refill torch while burning or top is still hot. Fire glass brings your fire pit to life with vibrant colors. Choose the color and style you prefer to illuminate your fire pit burner with the illusion of melting gemstones! 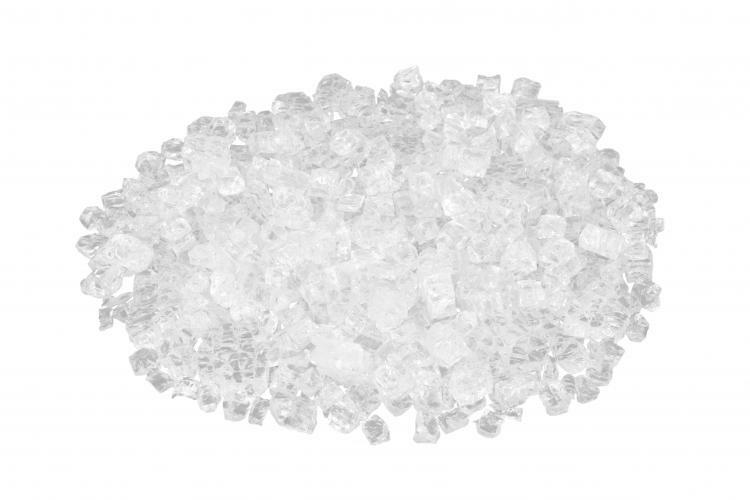 Ruby Crystal Fire Gems, 5lb container>10lbs needed for CF-20, CF-1224 and 20lbs needed for CF-1242, CF-2424>Tempered glass>Great accessory for any fire pit This item cannot ship to APO/FPO addresses. Please accept our apologies. 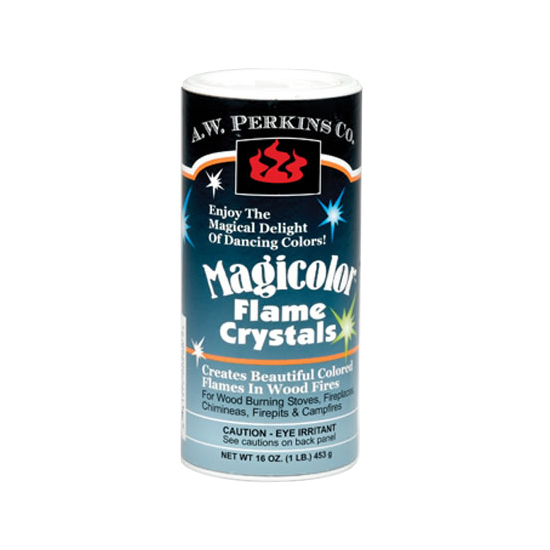 Magicolor Flame Crystals, by A.W. Perkins, turn a wood fire into a dazzling display of color. 16 oz., case of 12. LavaGlass+ will instantly beautify your fire table by adding a luxurious touch of reflection beneath the flame. This fire glass comes in several different sizes and vibrant color options, so you can customize the look of your unit to compliment your existing patio dTcor. 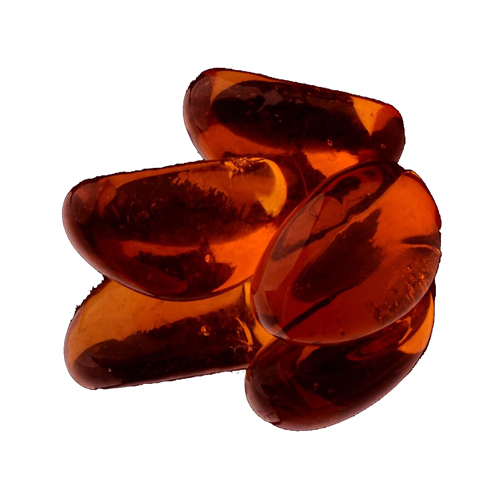 It has been tempered and washed, making the LavaGlass+ lustrous and safe to use, without ever discoloring or peeling. One bottle of the lustrous glass will cover two square feet and the base layer of your unit should be built up of small lava rock, to ensure the flame stays oxygenated for optimal heat. Adds a unique veneer of brilliance to any common fire pit. One container is designed to cover two square feet. 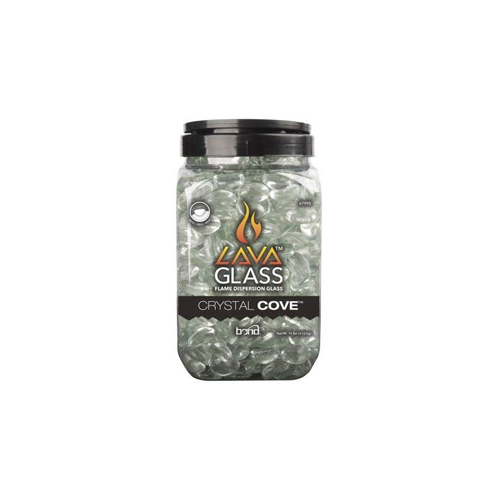 Easily turns your gas fire pit or fireplace into a sparkling showpiece! Our gray Permacoal Firespheres add an artistic flair to any compatible outdoor heating appliance. 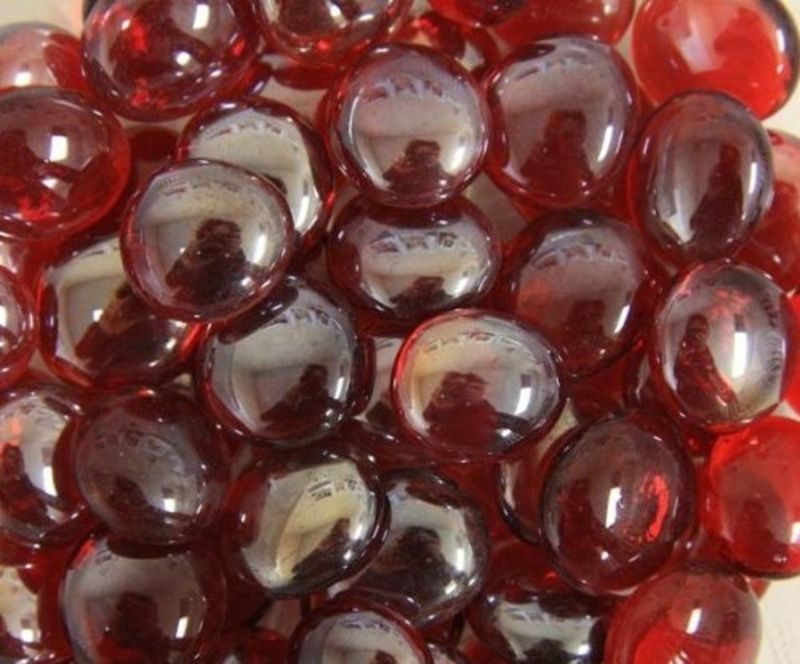 The round heat resistant stones can be used as a decorative addition on top of your existing lava rocks, or can replace the rocks completely, you decide! If you're looking to jazz up those summer pool parties, or just enjoy the cool night around the fire, the gray Firespheres are sure to help set the mood. Tempered and washed to prevent discoloring or peeling. Our white Permacoal Firestones add an artistic flair and style to any compatible outdoor heating appliance. The round heat resistant stones can be used as a decorative addition on top of your existing lava rocks, or can replace the rocks completely, you decide! LavaGlass+ will instantly beautify your fire table by adding a luxurious touch of reflection beneath the flame. This fire glass comes in three different sizes and six vibrant color options, so you can customize the look of your unit to compliment your patio dTcor. It has been tempered and washed, making the LavaGlass+ lustrous and safe to use, without ever discoloring or peeling. One bottle of LavaGlass+ will cover two square feet and the base layer of your unit should be built up of small lava rock, or pumice stones, to ensure the flame stays oxygenated for optimal heat. Transform your ordinary patio table into luxury within minutes! The Roxbury Umbrella Hole Firebowl is an easy and economical way to create a warm and inviting atmosphere outdoors. The unique design allows you to insert the firebowl through the existing umbrella hole on your patio table, while the propane tank safely sets underneath. The attractive weathered-bronze finish beautifully compliments any outdoor setting, as the flame dances across a bed of luminous Amber Sunset LavaGlass+. You and your guests will take pleasure in the powerful 10k BTUs of heat for hours on end. Fire meets ice with our Classic Cut Crystal Cove LavaGlass+. It instantly beautifies your fire table, by adding an elegant reflection beneath the dancing flames. The glass has been tempered and washed, making it safe to use, without ever discoloring or peeling. One bottle of LavaGlass+ will cover two square feet and the base layer of your unit should be built up of small lava rock, to ensure the flame stays oxygenated for optimal heat. Can be easily mixed and matched to compliment existing patio dTcor! The Classic Cut Bodega Blue LavaGlass+ instantly beautifies your fire table, by adding an elegant reflection beneath the dancing flames. 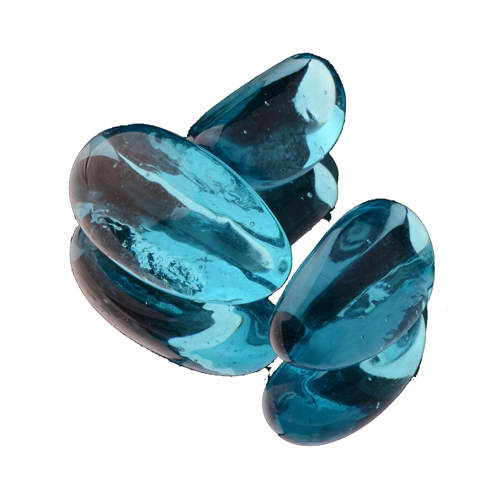 The vibrant glass has been tempered and washed, making it safe to use, without ever discoloring or peeling. One bottle of LavaGlass+ will cover two square feet and the base layer of your unit should be built up of small lava rock, to ensure the flame stays oxygenated for optimal heat. 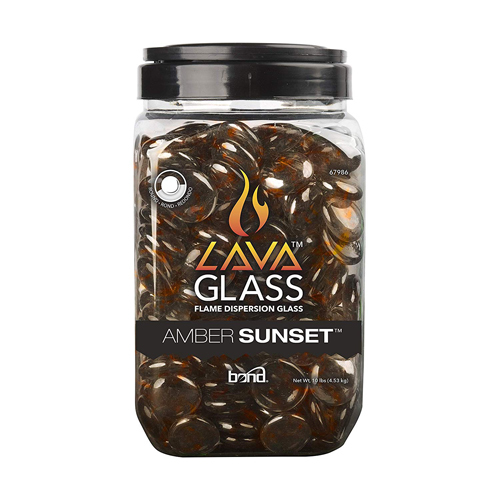 The Classic Cut Amber Sunset LavaGlass+ instantly beautifies your fire table, by adding an elegant reflection beneath the dancing flames. The vibrant glass has been tempered and washed, making it safe to use, without ever discoloring or peeling. One bottle of LavaGlass+ will cover two square feet and the base layer of your unit should be built up of small lava rock, to ensure the flame stays oxygenated for optimal heat. 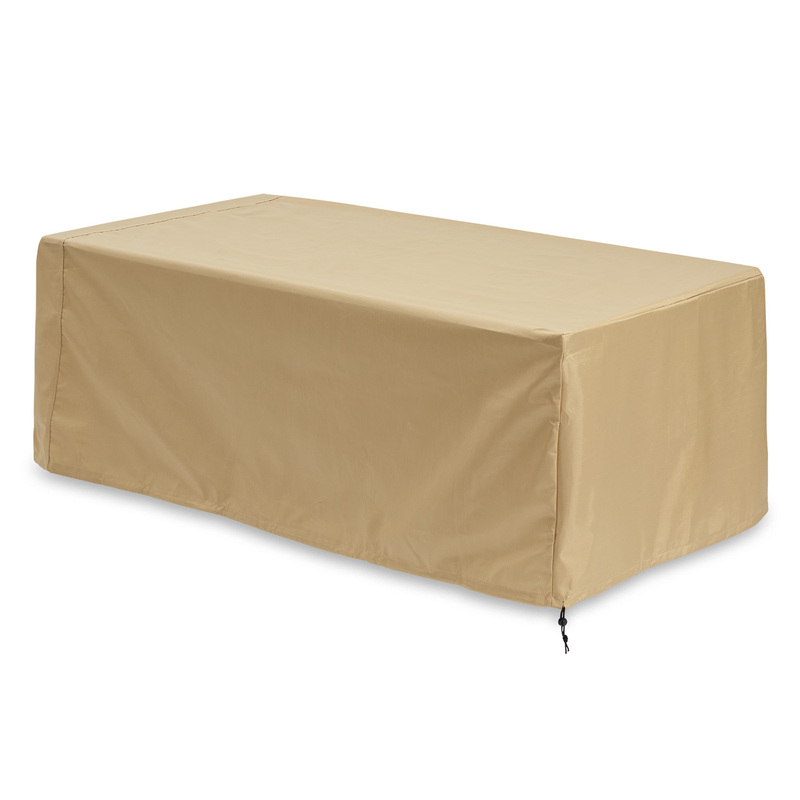 Protect your investments with a durable, weather-resistant fire table cover. Made with versatile polyester and features a draw string cord around the bottom of the cover to secure the cover to the fire table. Durable tan polyester cover, One-Way Breathability, water resistant exterior w/breathable interior to allow moisture out, tear resistant rip-stop laminating This item cannot ship to APO/FPO addresses. Please accept our apologies.